“The Mermaid” was incredibly sweet, funny and entertaining. It may not be the deepest movie ever, but I definitely had a blast with it. And despite all the humor, there’s an important message about the protection and preservation of the environment that I also very much appreciated. On the other hand, I’m afraid I haven’t got that much to say about it. It’s very slight entertainment, even though there’s a serious message at its core. Nothing about the way the story progresses will surprise you, but as long as the said story is as entertaining as here, I don’t mind. I really liked the love story of the mermaid falling in love with the man she’s supposed to kill. Yes, it was predictable, clichéd and corny, but both of them were likeable enough to still make me root for them. Also, the octopus-man was a really great idea; that really was something new, at least for me. Its biggest strength, however, is the humor. It’s been a long time since I’ve laughed so much and so hard in a movie theatre, and I don’t expect to see a funnier scene this year than the one at the police station. That one really had me in stitches; I laughed so hard that I could barely breathe. Granted, there’s the occasional head-scratching moment (Why doesn’t the old mermaid interfere sooner? Why is Liu Xuan walking along the entire jetty instead of dropping her into the water to his left or right? ), but I don’t want to be a spoil-sport. If you’re looking for very funny, romantic, slight and entertaining cinematic fare, look no further than “The Mermaid”. 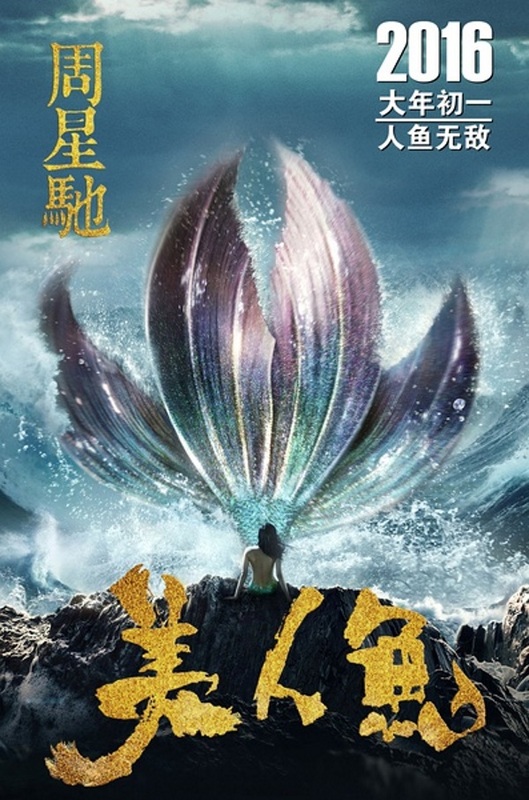 This entry was posted in /slash, cinema 2016, movie reviews, new releases and tagged /slash, /slash 2016, china, cinema 2016, Mei ren yu, Stephen Chow, The Mermaid. Bookmark the permalink.